Kimberly Sims recognizes that there is simply not enough time in the day to handle all of the complications involved in running a 21st century business. Accordingly, she works closely with her clients to FOCUS on what’s important, and to implement efficient, effective solutions for business disputes. Her litigation experience also makes her the ideal person to turn to for ideas on how to prevent problems before they arise. Kimberly Sims advocates for her clients in prevention and resolution of landlord/tenant, real estate, construction, contract and employee disputes. She is also experienced in guiding businesses through government investigations and actions, including the resolution of fair housing and discrimination complaints. Kimberly Sims understands that business owners need to focus their energy and resources on running their businesses. To that end, she works to help her clients prevent the escalation of disputes into litigation, or to avoid them altogether. By engaging with her clients’ decision-making on whether to enter into certain contracts, analyzing lease obligations, protecting business assets and evaluating and resolving employee issues, Kimberly seeks to help her clients avoid litigation. In those situations where litigation simply cannot be avoided, she aggressively pursues her clients’ claims and defends their interests. Kimberly was named a “Texas Rising Star” by Texas Super Lawyers in 2008, 2009, 2010, 2011, 2012, 2013 and 2014, appearing in Texas Monthly/Law and Politics Magazine and was designated a Texas Super Lawyer in 2014, 2015, 2016, 2017 and 2018. •	Prosecution of tenant by landlord for collection of rent upon abandonment of leased property, resulting in judgment in favor of landlord. •	Representation of landlord in appeal of eviction to Court of Appeals, resulting in dismissal of appeal and return of possession to landlord while appeal was pending. •	Defense of landlord on fair housing claim, resulting in dismissal of claim by government agency. •	Prosecution of lien claimants for general contractor, resulting in removal of invalid liens. •	Defense of owner in suit by electrical contractor on retail construction project resulting in settlement. •	Defense of adverse possession claim against property owner, resulting in judgment for client affirming title and ownership. •	Featured in “The Magnificent Seven,” Dimensions Magazine, June 2017, Apartment Association of Tarrant County. •	“When a Resident Dies” – Apartment Association of Tarrant County “Lunch and Law” Event, 2017. After being a "Rising Star" for seven consecutive years, Kimberly Sims earned Super Lawyer honors in 2015, 2016, 2017 and 2018. Super Lawyers is a rating service of outstanding lawyers from more than 70 practice areas who have attained a high-degree of peer recognition and professional achievement. The selection process includes independent research, peer nominations and peer evaluations, tabulated by research firm Thomson Reuters. 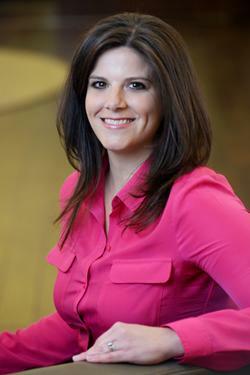 Texas Super Lawyers previously named Kimberly Sims on its “Rising Star” lists for 2008-2014. To compile this list, research firm Thomson Reuters seeks nominations from the over 80,000 attorneys practicing in Texas, and selects finalists through a patented, multi-phase process. While up to 5 percent of the lawyers in Texas are named to Super Lawyers, no more than 2.5 percent are named to Rising Stars. To be eligible for Rising Stars, a lawyer must be 40 years old or younger, or in practice for 10 years or less.